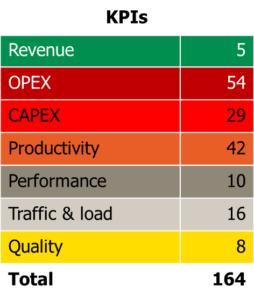 Our JV benchmarks of previous years – 2013, 2014, 2015 and 2016 – showed that network sharing joint ventures – through focus and new operational models – have established cost and productivity levels that few mobile operators can match within their own network departments. JVs’ network quality is also higher – in spite of higher network load. To improve further, network sharing JVs therefore need to compare with other JVs. When we now initate tefficient’s sixth dedicated benchmark for network sharing JVs (the 2017 round), it’s with limited modifications to last year’s design – but with a few new KPIs. All numbers in the benchmark will of course be new: Have JVs been able to continue the improvement trend? 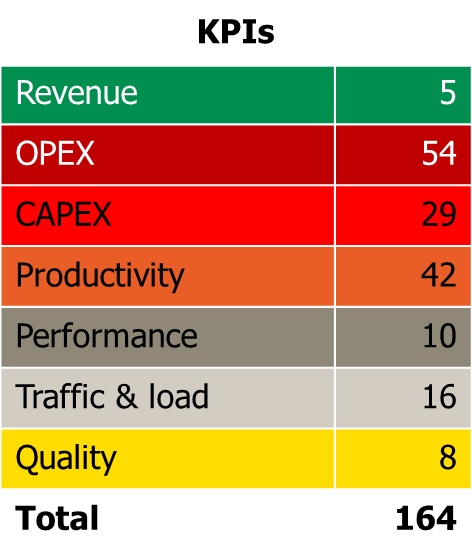 In total, there will be 164 KPIs covering 18 functions of a JV. The benchmark is 100% fact based without modifications done to actual JV data – but with interpretations added. As previous years, the identities of the actual participants will be confidential. The benchmark results are just available to the participants. On top of the report, the fixed participation fee includes three on-site result presentations: one for the management team, one for the staff and one for the board/owners. If you’re among the 12 JVs, please contact tefficient for an introduction.